Porcupinefish are fishes of the family Diodontidae (order Tetraodontiformes), also commonly called blowfish (and, sometimes, balloonfish and globefish). 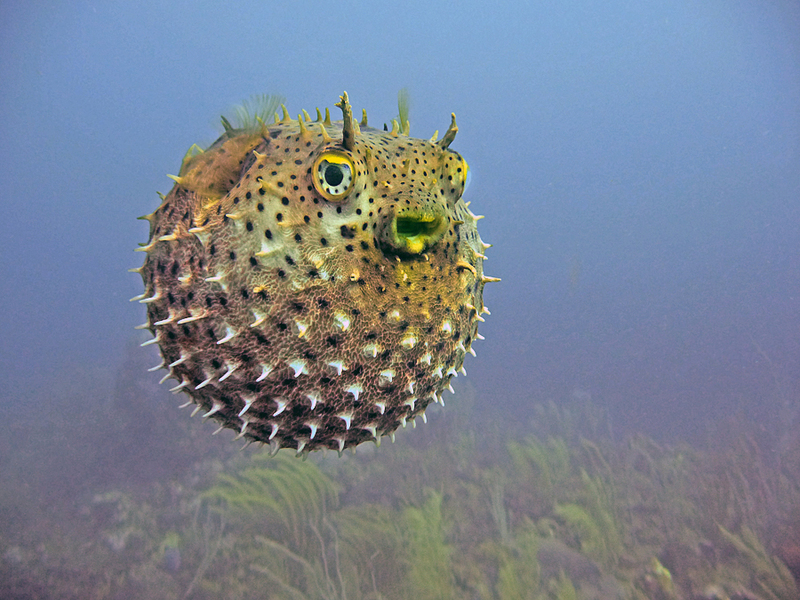 They are sometimes collectively called pufferfish, not to be confused with the morphologically similar and closely related Tetraodontidae, which are more commonly given this name. The LJ ate the end of the phrase: how is it also commonly called? PS: I see your updating, thanks!